What do you do when the collision alarm of your nuclear sub goes off under the polar ice pack? What ails U.S. symphony orchestras? What is it like to grow up coping with racial segregation, or spend a lifetime attempting to learn about the causes and prevention of violence? 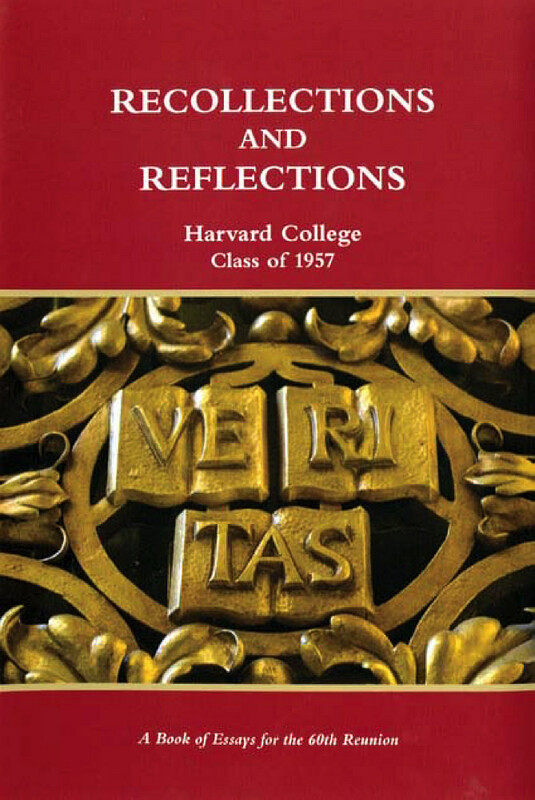 In the 1,016 pages of Recollections and Reflections: A Book of Essays for the Sixtieth Reunion, 135 members of the Harvard class of 1957 share personal experience of these and other challenges in chapters covering philosophy, history, education, the humanities, government, economics, the environment, science, and sociology. The outpouring, conceived and completed within two years, reflects lives that have “plumbed nearly every depth of human emotions during our times,” write editor Newton E. Hyslop Jr. and co-editors James L. Joslin and Charles Steedman about their classmates’ collective project. A full-color, digital version of this benchmark reunion project appears at h1957.classes.harvard.edu .